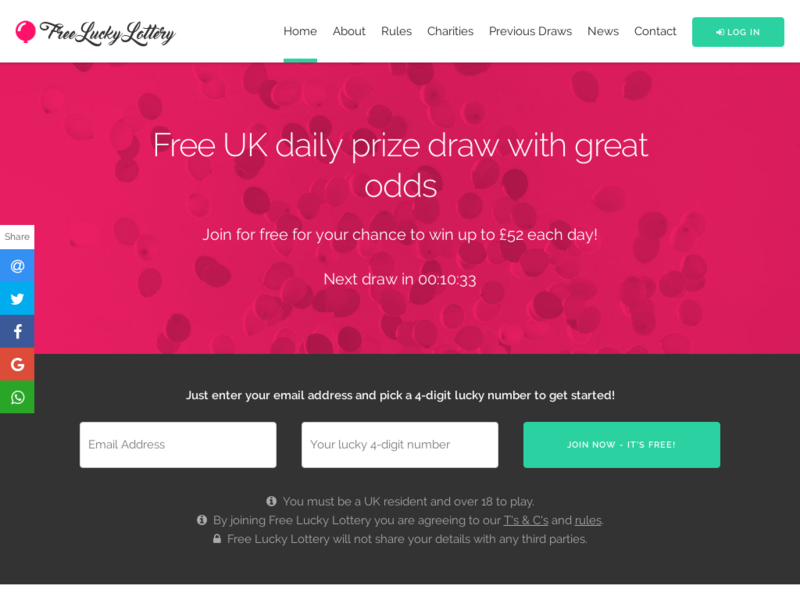 Free Lucky Lottery is a free-to-play daily prize draw with great odds. A modern, responsive design is complemented by a loyal player base who log in practically every day to check the draws. 90% + United Kingdom traffic.